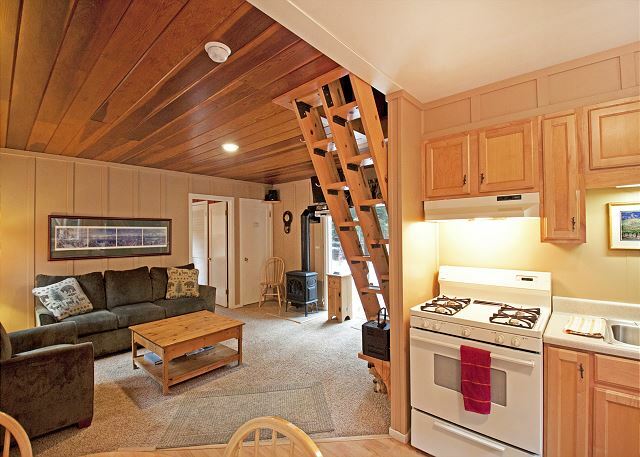 The Tahoe Park Cottage is a 1 bedroom, loft, 1 bath cabin with landscaped yard. There is a queen size bed in the bedroom downstairs and two twins in the loft upstairs and a queen sofa sleeper in the living room. 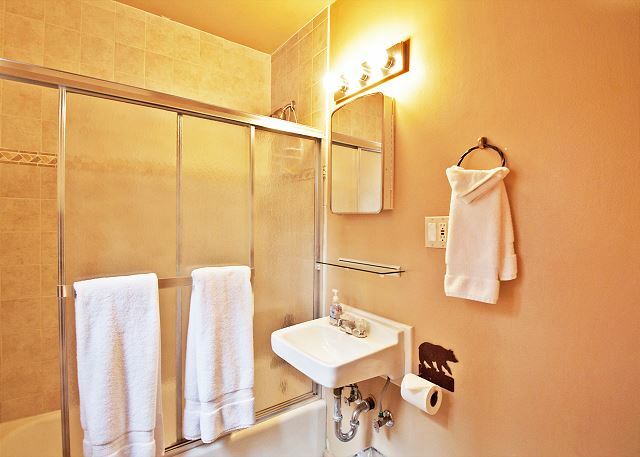 The kitchen is fully equipped with gas range, pots, pans, dishes, utensils, blender & microwave. There is a television with cable & DVD player in the living room downstairs and another television with VCR upstairs in the loft area for the kids. There is also an IPOD docking station with a small stereo system and a full size washer and dryer. The back yard has a flagstone patio, table, chairs and umbrella so you can sit back and relax in the back yard, there's also a gas BBQ to cook those delicious meals! This Cottage is perfect for a quiet get-away or honeymoon! 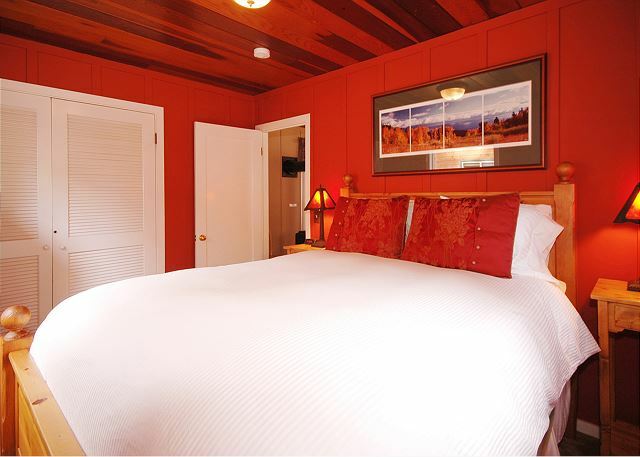 Located just two and a half miles south of Tahoe City, on the magical west shore! It is walking distance to the Lake, Sunnyside Restaurant, Firesign Cafe, West Shore Market and MORE! It's belongs to the very popular Tahoe Park Beach Association which has two piers, swim area, volleyball, basketball court, lawn areas, horseshoe pits, bocce ball court, swing area for kids and picnic tables associated with barbecues. It's also close to many biking and hiking trails! 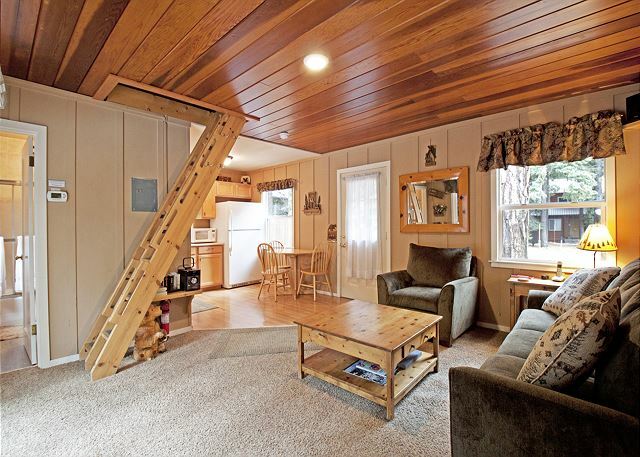 This Cottage is just minutes from Squaw Valley, Alpine Meadows, and Homewood ski areas. Northstar is also approx 40 minutes away. Cleaning fee of $75.00 includes linens. 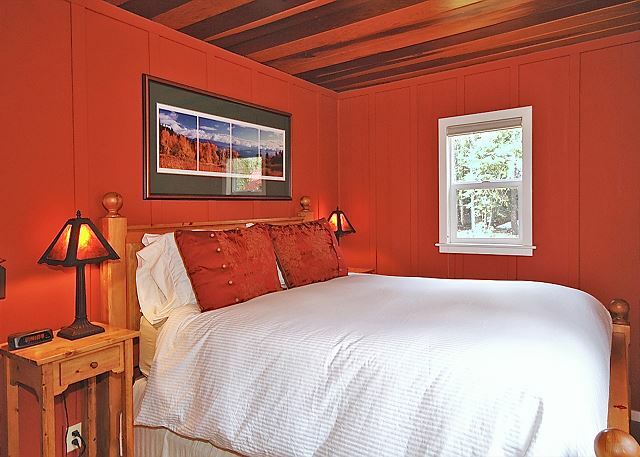 This cabin was just right for 3 of us to share for an end-of-summer getaway. Several restaurants and a market in walking distance. Nice, safe neighborhood and access to a private beach. Great Little Cabin-- We'll be back! We had a wonderful time staying here over the July 4th week. It is crowded in Tahoe at that time, and it was great to be able to park and then just walk or bike anywhere we wanted to go. We'd walk 3 minutes to all the Sunnyside amenities (Fire Sign Cafe, market, Tahoe Park owners beach, Sunnyside Lodge and boat rentals). It was an easy bike for dinner in Tahoe City and Homewood (highly recommend the West Shore Cafe in Homewood for a treat). The house was perfect for two of us, and we even had a friend stay in the cute (and big!) upstairs loft one night. It would work for 4 people who know each other well. The house was well-stocked, including propane for the BBQ. A few things to point out: the campground is right off of the back yard with only a post fence between. We had no problem with our tent neighbors, but the wrong group could spoil it. It was noisy just right at sundown as all of the happy camping kids wrapped up their days. The couch is a little sinky (but there are plenty of pillow to bolster it up). Otherwise, it was perfect. 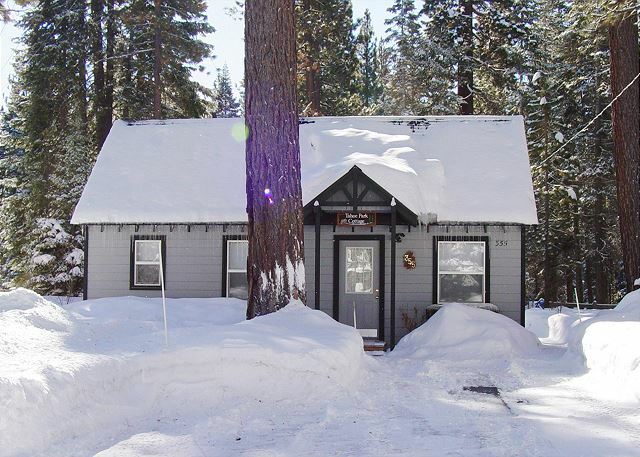 The Tahoe Park Cottage was small but perfect. Three of us were in town for a wedding and it was the perfect location. Close to the water/rental shops/restaurants/market. The house was clean and prepared nicely when we arrived. We had small issues with workers coming to work on the house or clean the hot tub that slightly interrupted our stay but nothing to make a huge deal about. All in all it was the perfect little house for our vacation. We would definitely stay here again!